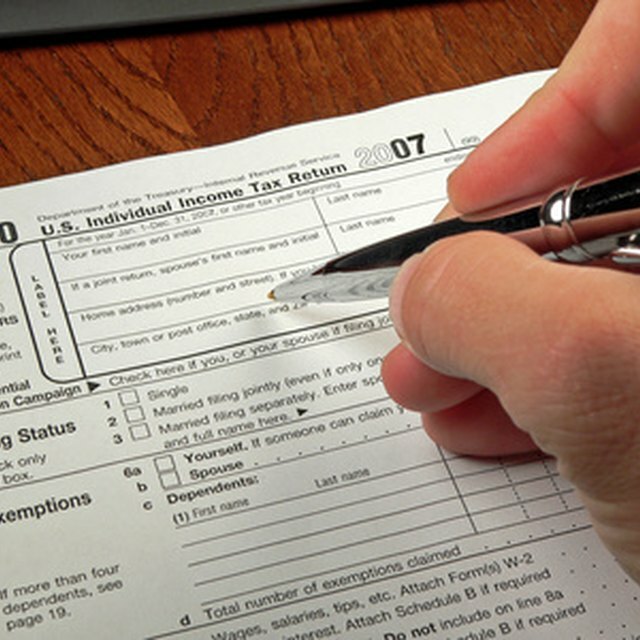 Filing your taxes takes a lot of organization and attention to detail. You’ll need various financial statements and tax forms, like W-2s from your employer or proof of tax-deductible payments or contributions. If you’ve received workers compensation payments this year, you may not be sure how these fit in with your tax filing -- or whether you're required to file at all. The Federal Employees’ Compensation Act mandates that any workers' compensation payments you receive due to a personal injury or sickness are not considered taxable income. This exemption even applies to beneficiaries who may receive these payments in the event of your death. That said, the Act only applies to payments you receive after a workers compensation claim has been approved. If you receive payments prior to receiving this approval, those payments are not exempt from income tax. While the workers compensation payments for a valid injury sustained at work are tax exempt, this is not the case with income you may be receiving for work that you are physically able to perform. For example, if you were injured while working in a warehouse and now receive workers' compensation to make up for your inability to lift heavy objects or operate certain machinery, you will still be taxed on the income you receive for performing lighter work, like bookkeeping or general paperwork. Workers compensation is only available if you were injured while on the job or performing work-related tasks. However, you may be unable to work due to an accident that occurred outside work or a general illness. If you receive any payments for disability or a specialized program, like the railroad sick pay, these payments generally are taxable and must be included on your tax return. That’s why it’s important to formally receive a workers compensation approval if you were injured on the job. Can You Receive Social Security & Veterans Benefits at the Same Time? Is a Legal Settlement Considered Income? Can I File Income Tax Return If I Am Receiving Unemployment? Depending on your age, the length of time you’ve spent with your employer or the contributions you’ve made to a retirement account, you may choose to tap into your retirement plan benefits if you’re unable to work. If you do so, these benefits are not tax exempt, even if you are no longer able to work due to a work-related injury. Additionally, if your workers compensation income reduces your total Social Security benefits, it may be considered taxable income since they are then considered Social Security payments. Bankrate: Do I Owe Taxes on Workers' Comp?